Developers from the company Playson came up with the idea to combine pirates and fruits into one game. In their model called Lucky Pirates, the role of filibusters is played by animated cherries, oranges, plums and other fruits. 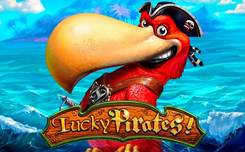 Slot Lucky Pirates, has five reels and 9 paylines. The set of available options includes usual and special symbols, a round for doubling payments and other possibilities. On the screen of the game you will see: various fruits and berries, in the form of pirates. The captain-parrot leads them. 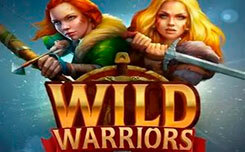 Wild, is not paid for itself, but replaces other symbols. Scatter does not depend on active lines. If there are two to five such pictures on the reels, the player is entitled to a payment in the amount of two to one hundred common bets on the spin. 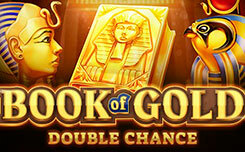 This video slot offers a limited selection of available gameplay options. This fact can be considered a disadvantage, but the merits of the model is clearly greater. 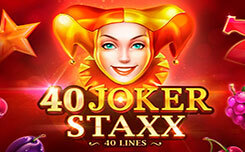 It has very colorful 3D graphics and spectacular animation.